To read our burglary crime prevention please click here. The "10 Principals of Crime Prevention" can be found here. Looking for quick tips? 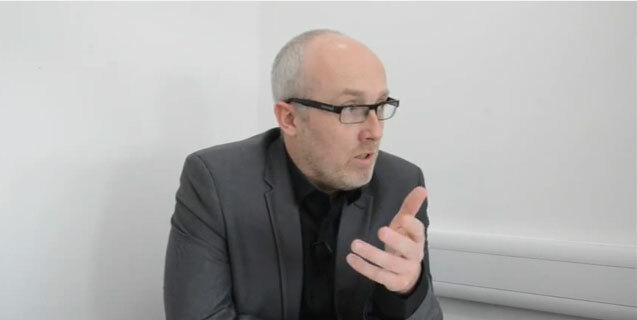 See our latest video messages by Force Crime Prevention Officer Chris Joyce, please click here. 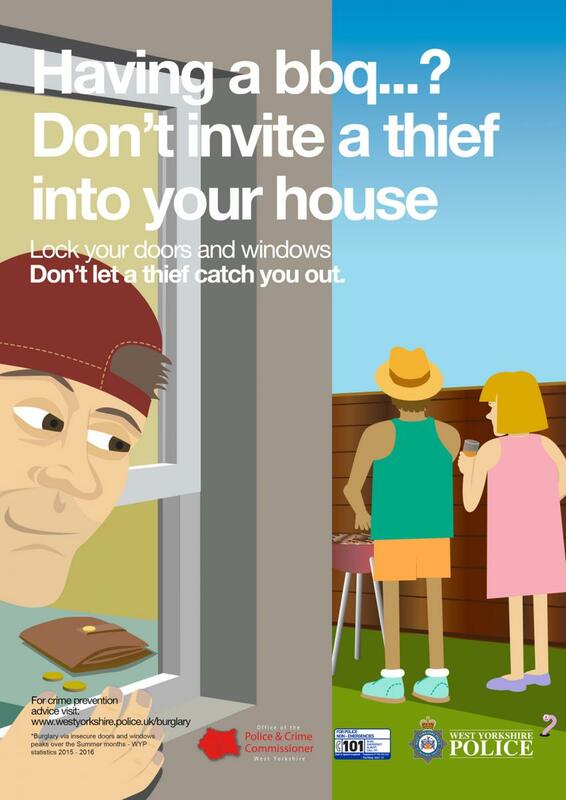 Throughout the summer West Yorkshire Police is urging homeowners to protect their homes and not to be caught out by opportunistic thieves. Thirty per cent of burglaries happen when opportunistic thieves walk in through an unlocked front door and 26 per cent through unlocked or open windows. 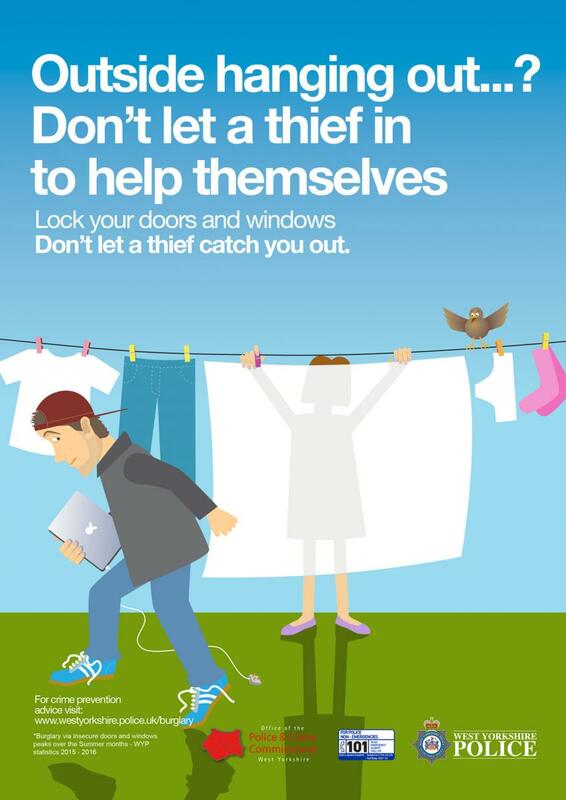 The campaign highlights the tactics that burglars use and reminds people of the simple steps we can all take to improve our home security and deter burglars from targeting our homes. 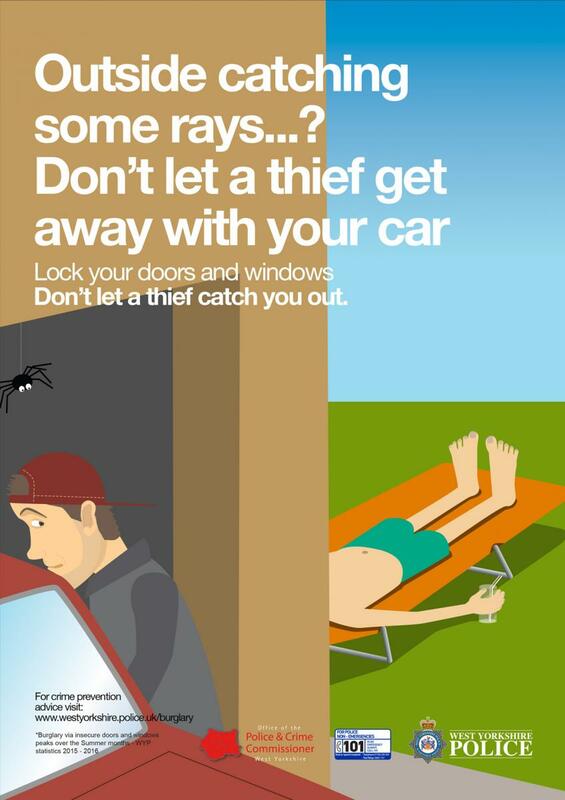 Don’t let a thief catch you out! Keep doors and windows locked at all times – even when you’re inside. Don’t forget to lock the door behind you and remove the key from the lock. Keep keys, cash and valuables out of sight and in a safe place. Door chimes might deter a burglar from entering your property – but remember to always lock your door. 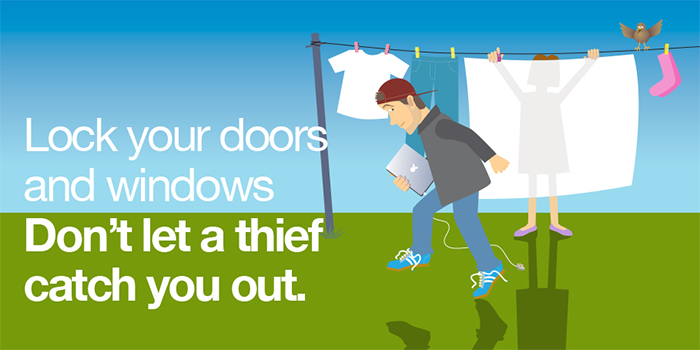 If you’re outside gardening or hanging out washing, make sure doors and windows are locked. Put packaging for expensive items in the bin or take it to be recycled. Don’t advertise what’s in your house. 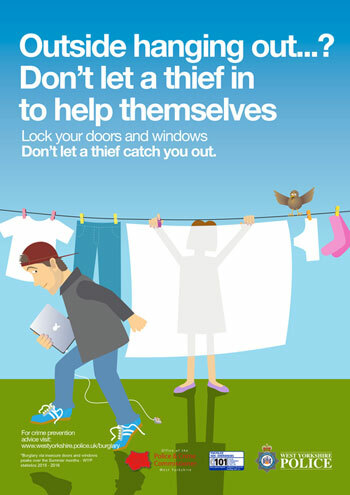 Make sure door and window locks are fitted to the appropriate standards. Cheap locks or deteriorating fittings all make your home an easy target for burglars. More info here. Check that existing security, such as alarms and external lights are working and use them to protect your home. Consider downloading free tracking software for items such as laptops and mobile phones. Join or start a Neighbourhood Watch Group and look out for your neighbours. If you have a garage use it to store your vehicle out of sight. For police non-emergencies or for advice about home security call 101 and ask for your local Crime Prevention Officer.